Every wedding deserves a sweet ending. 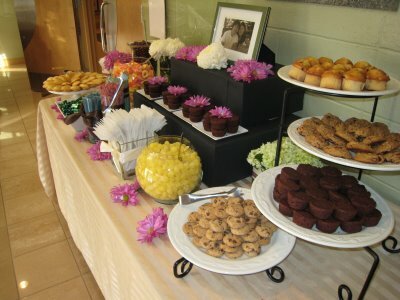 Instead of ending your reception with a boring old cup of coffee, why not have a dessert buffet? It is a very hot trend, and with good reason – guests love it! 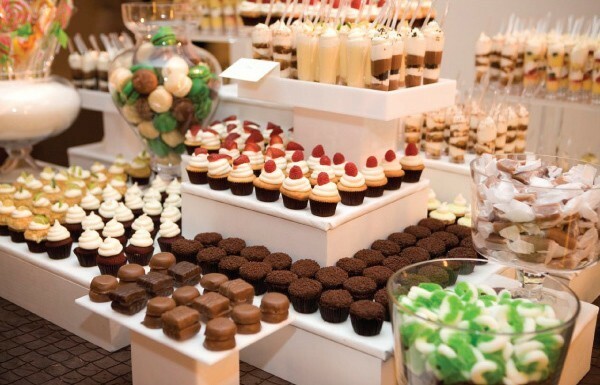 Many weddings now feature a dessert buffet. The couple can have a classic wedding cake, with the special moment when the bride and groom cut the cake. Then a little while later, the doors are opened to an adjacent room, and a magical dessert fairyland appears before your very eyes. It is an incredible surprise and it definitely wows the guests. 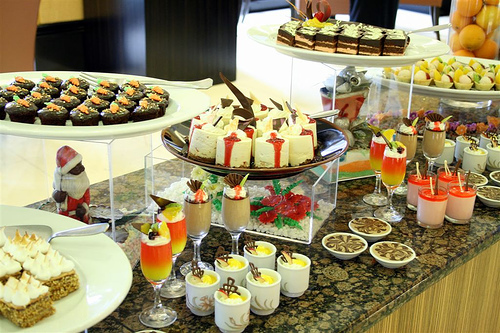 So, what should you include in your dessert buffet? Well, the options are almost endless; it depends primarily on your budget and space. If you have a relatively small area for the buffet, put out a collection of beautiful little treats. Options could include petit fours, iced sugar cookies (with your monogram, of course), and clear glass cylinders filled with candies. The personalized M&Ms are really cute, and you could also have other favorites like red licorice twists and gummy bears. You can also use the display as your wedding favor by putting out pretty little bags for guests to fill with treats and take home. Make the bags special by adding a sticker that says something like, “Thank you for coming to our wedding. Enjoy a sweet treat for later. Love,”. 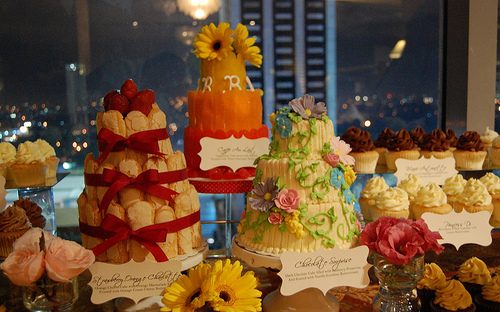 Some couples decide to do the dessert bar in a very big way. A great way to do it is to have stations like people do for the meal. Have one with a variety of cookies, one with the candies, and so on. Other tasty treats you can include are brownies, cupcakes, truffles, and seasonal pies. Chocolate dipped strawberries are always an excellent idea. When deciding on your desserts, think about what sweets go well with coffee or champagne, which is what your guests will likely be drinking. Speaking of drinks, it is a great idea to set up a mini bar station next to the dessert buffet. Serve up fresh cappuccino and espresso, along with regular coffee and decaf. Offer guests liqueurs, such as Bailey’s Irish crème or Kaluha to spice up their drinks. Next to the coffee station, you can set out trays of champagne, because it does go so well with those chocolate covered strawberries – yum! 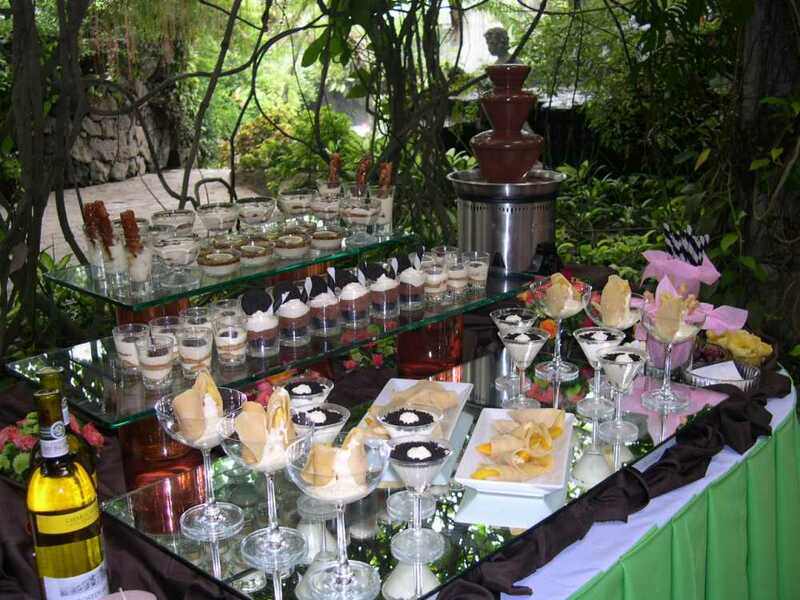 To make your dessert buffet truly impressive, add specialty stations like a funnel cake machine, an ice cream sundae bar, fresh candy apples, and everyone’s favorite, the chocolate fountain. For those who do not crave sweets, hire a popcorn cart. Your guests will be in heaven! 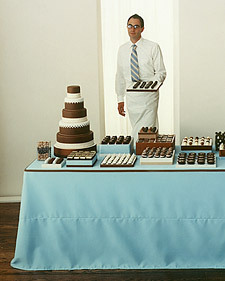 You will want to coordinate the dessert buffet with the rest of your wedding, especially if it is in a separate room. For instance, if your going to wear crystal bridal jewelry, have white and silver centerpieces dripping with Swarovski crystal briolettes on the dinner tables and in the dessert room. It is a fabulous effect, and tying the décor to your crystal bridal jewelry makes the whole wedding look very pulled together. 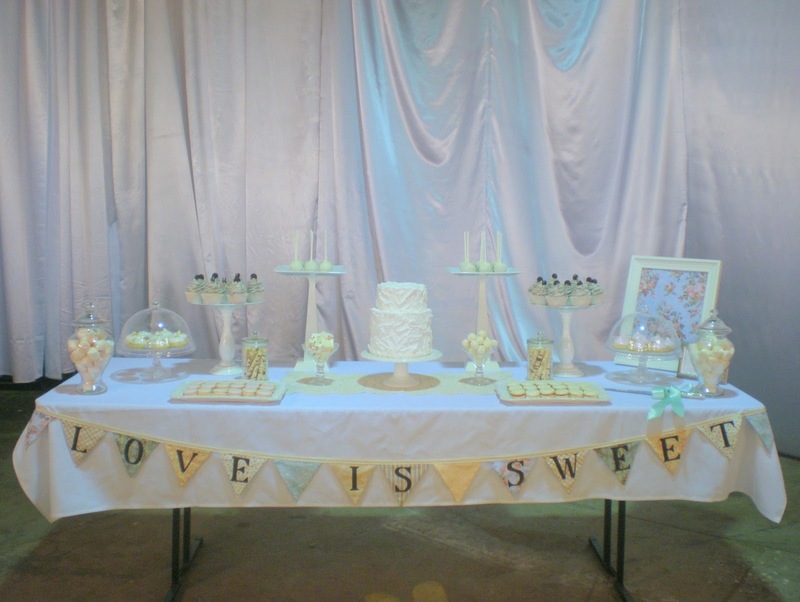 If you do not have the budget to decorate another space, you could consider having servers bring around carts with desserts instead of setting up another display. Everyone wants their wedding to be memorable and unique. One way to ensure that is to end it on a high note. 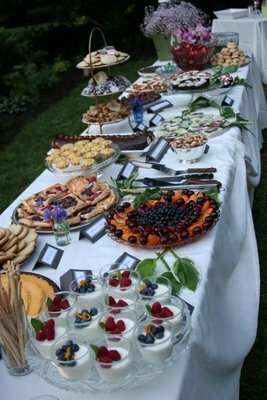 Surprising your guests with a decadent dessert buffet is an excellent way to end a festive celebration and thank them for coming. It will make your wedding one that they never forget.